Blog / (DON’T) Support Your Local Phone Scammers!! Ah! computers, such amazing tools! Everything about them is nothing more then 1’s and 0’s. Yet look at everything they can do! They can be used to do just about anything, from creating moving pictures to spreadsheets, as well as smashing sub atomic particles together and sifting through the debris. Compare this versatility to a simpler tool, like a hammer. A hammer still has multiple uses, beyond simply driving a nail into a piece of wood. Everything a hammer can do is easy to see, imagine and describe, even for someone who isn’t a Carpenter. Now consider explaining how a computer works. For example, I could explain (in rather ugly, Technical detail) how a computer goes about loading and saving a file to its’ hard drive. However, I also went to school and obtained a degree in Computer Programming. There are times when some Users will probably not possess the whole knowledge on how a computer works, and may not even have enough information to entirely explain how it could happen. Other times, the extent of some Users’ skills, thankfully an immense minority, is knowing how to turn a computer on and off, as well as using familiar software. They too may be at a total disadvantage, by not counting on the indispensable, computer-operating information. 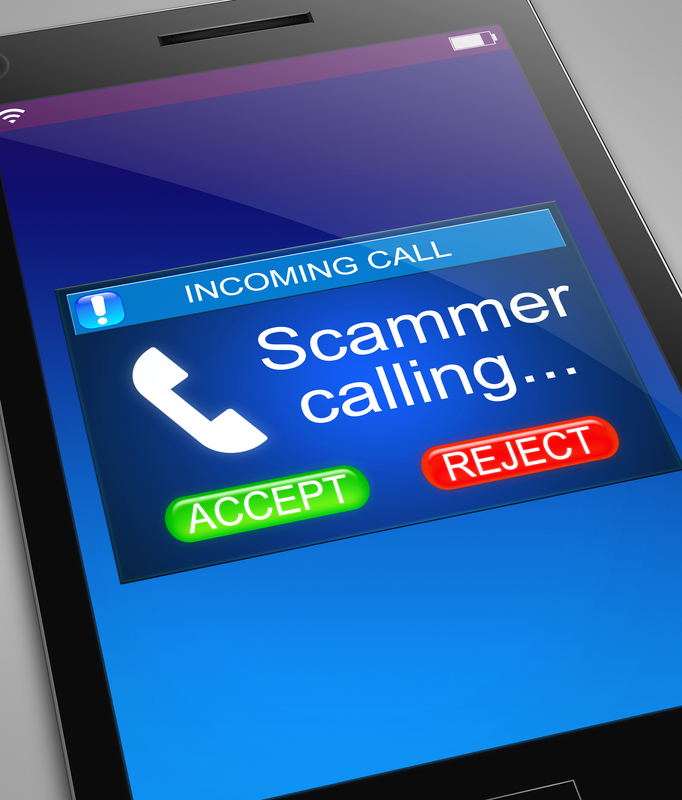 Technical Support scams often claim to be from Microsoft or Windows. This happens so often, that Microsoft has a website that you can use to report a Microsoft support scam. As I’ve mentioned before, I live in Spirit River, up in Northern Alberta. Being a small town, there are a limited number of people with in-depth computer knowledge, so if someone has a problem, I tend to get called. Over the summer, I’ve helped some people that have run into support scams. Some of them have been of a different nature than what I’ve seen before. I) A web-page shows up claiming your computer is infected, with directions to call a number. While surfing the web, possibly to the same sites you’ve visited many times in the past, you suddenly get to a page saying your computer is infected and you need to call some number. What actually happens in this case is the warning is the result of an Advertisement. The Ad is setup to load content from a server on the Internet. After the ad is approved and running for a bit, the remote content changes, so that this warning message is displayed. This makes the source of the Ad tricky to track down because the content doesn’t need to be the same every time. Another factor that makes it hard to track down the company that authorized the Ad is that depending on the site you visit, the Ad could be injected into your web page, by your actual Internet Provider. If you ever get to a page that says something like “You are infected, Call (some phone number)”, just close it because it’s false. II) Searching the Internet for a company’s phone number. Sometimes you search the Internet for the number for a company. Most of the time people will check out the first link that shows up. The problem is that the very top spaces for Search Results can be bought from companies like Google. You would expect that when you do a search for something like “Technical Support for (my favourite software)”, that the first result to come back is the one that matches your search the best. Depending on the Search Engine you are using, this may not be true. Google (for example) allows a company to purchase the top results for a search, during a specific amount of time. Sure, it gets expensive rather quickly, but you don’t need to do it for long, in order to get your money back. Simply set up an official-looking website, include a Toll Free number to call and have a Hostname that looks close. This is harder to realize and spot. It requires paying close attention to the details on the website, as well as the Host name. As always, the best defense against all of these is knowledge and awareness. How websites work and communicate information to you. How your preferred Search Engine works and actually ranks results. If you have any questions about support scams, you can always reach out to your TRINUS Account Manager for some stress-free IT.